LeBron James has feet that look like they’ve been through a trash compactor, a viral photo from this week reveals about the world-class athlete. The glimpse at the LeBron’s feet comes from a series of photos of the NBA All-Star with his wife Savannah as they wait on a dock for a boat. The Miami Heat star wore open-toed sandals that showed a jumble of toes. In another photo LeBron James takes off the sandals, showing that his foot seems mangled beyond belief. The end of his foot doesn’t seem to have enough room for his toes, leaving the pinky toe resting above the others and the big toe somehow shoved underneath. The picture of LeBron James’ feet has been a hit on the internet this week. On the link-sharing site Reddit it generated more than 16,000 user “upvotes” and thousands more comments from users who wondered what caused the wonky toes. “His toes should spread out more and play zone defense,” user Idleworker wrote. Others speculated that the tight shoes LeBron James wears caused his feet to deform, though by that theory more NBA players would have toes that look jumbled up. It’s true that LeBron James isn’t the only athlete with terrible feet. 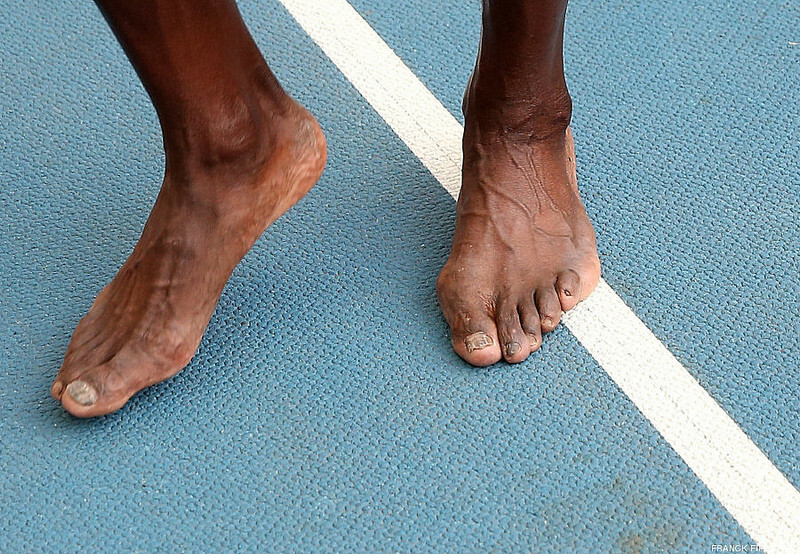 World-class sprinter Usain Bolt also suffers from what appears to be a foot deformity, presumably caused by wearing sprinting shoes too often (Bolt’s terrible feet can be seen here, but be warned, they are a bit gross). Of course, as long as he’s winning MVP awards and leading his team to multiple NBA championships, LeBron James can have messed up feet and jumbled toes all he wants.